Stunning accent diamonds sparkles in this elegant Gold/Platinum engagement ring Pave setting. 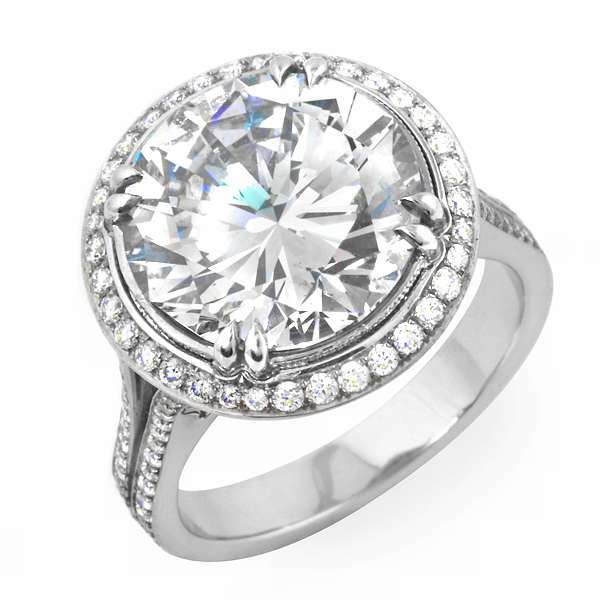 This stunning Halo setting is designed to hold a Round center diamond. 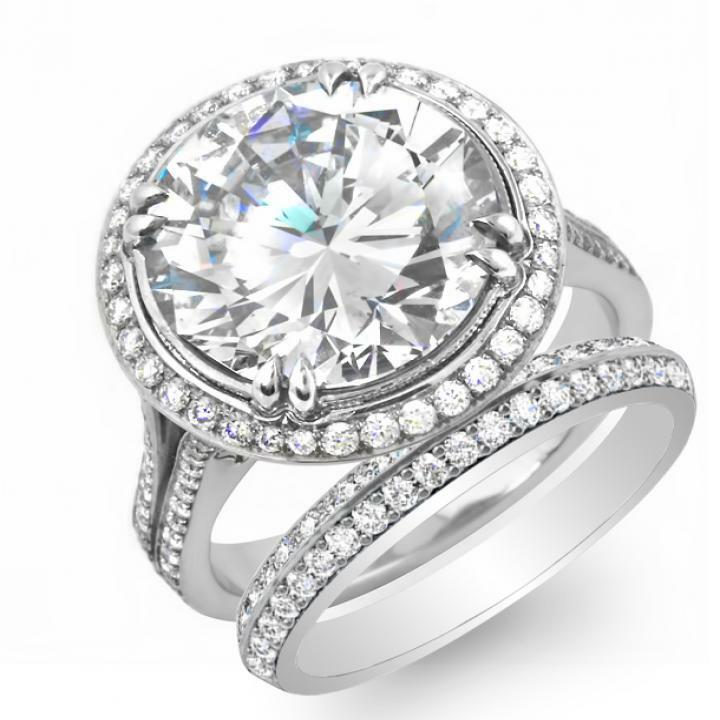 Getting the best Round cut halo engagement rings style for your beloved can be tough, but DiamondMansion.com's outstanding collection of brilliant settings and natural, untreated diamonds makes it simple and easy to tailor the perfect ring!